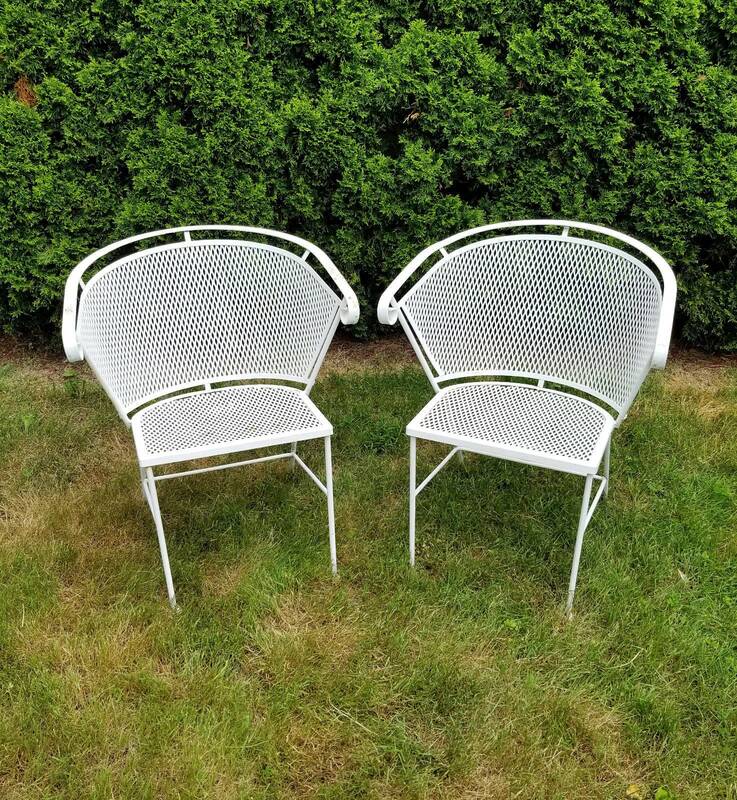 Grab your favorite summertime drink and a good book, it's time to relax in your fabulous patio chairs! 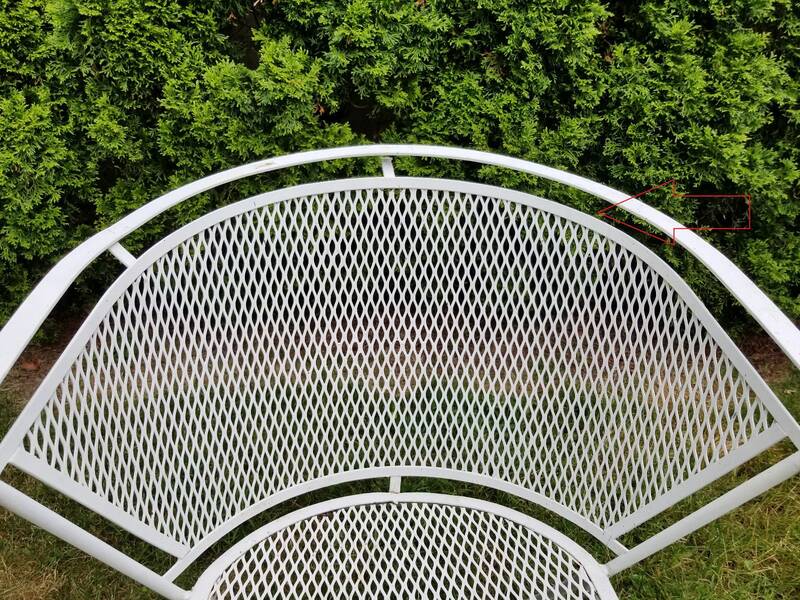 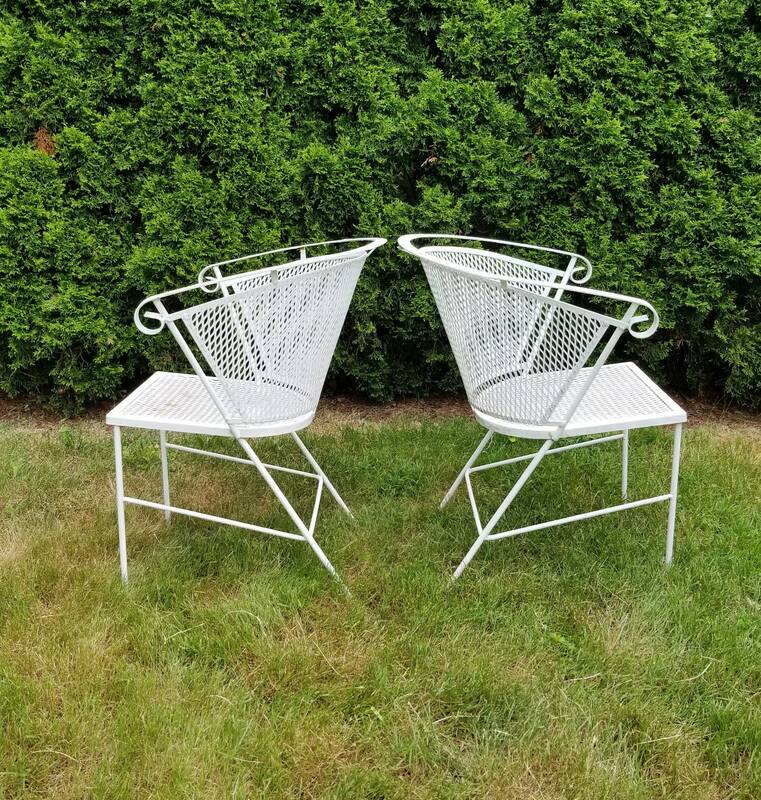 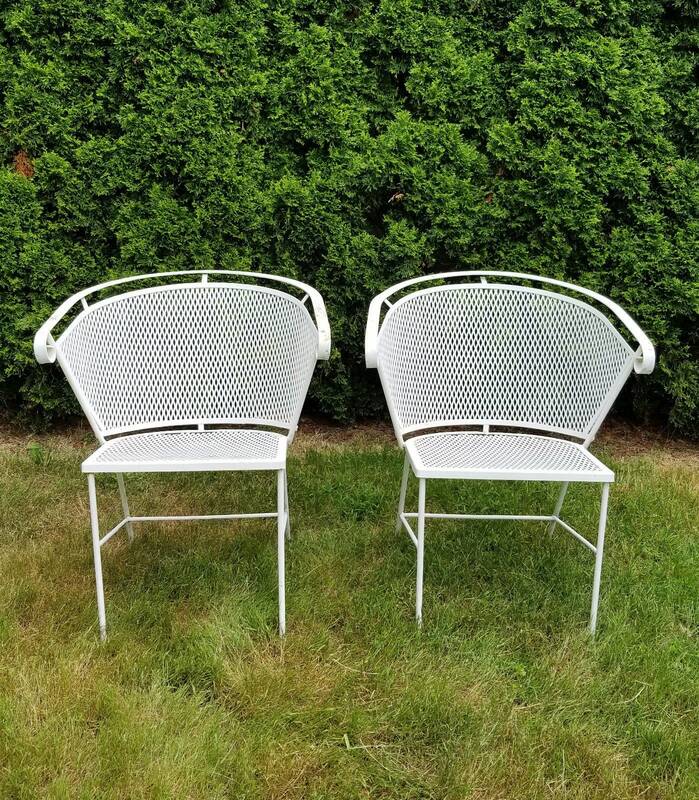 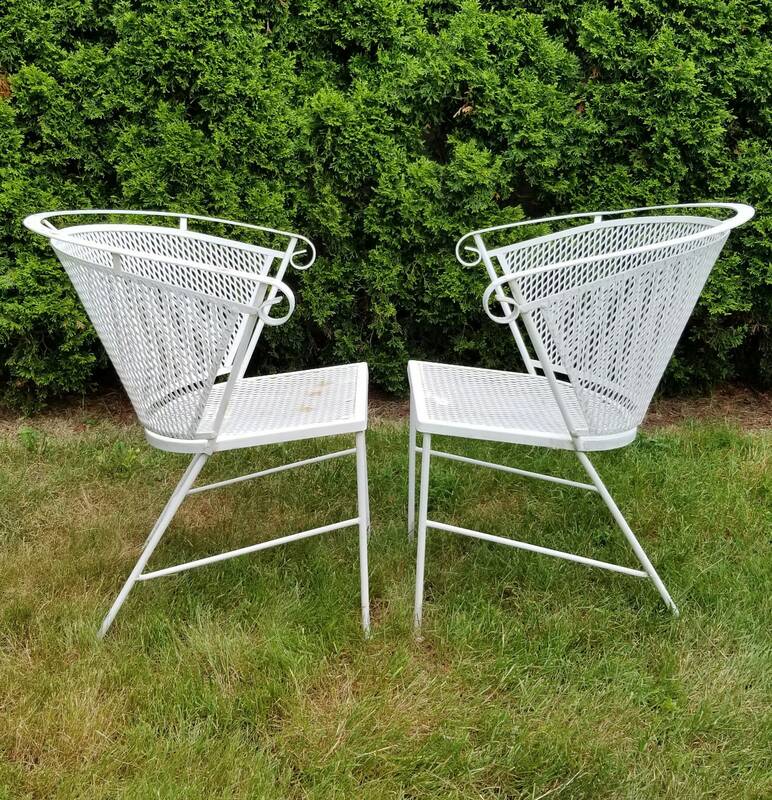 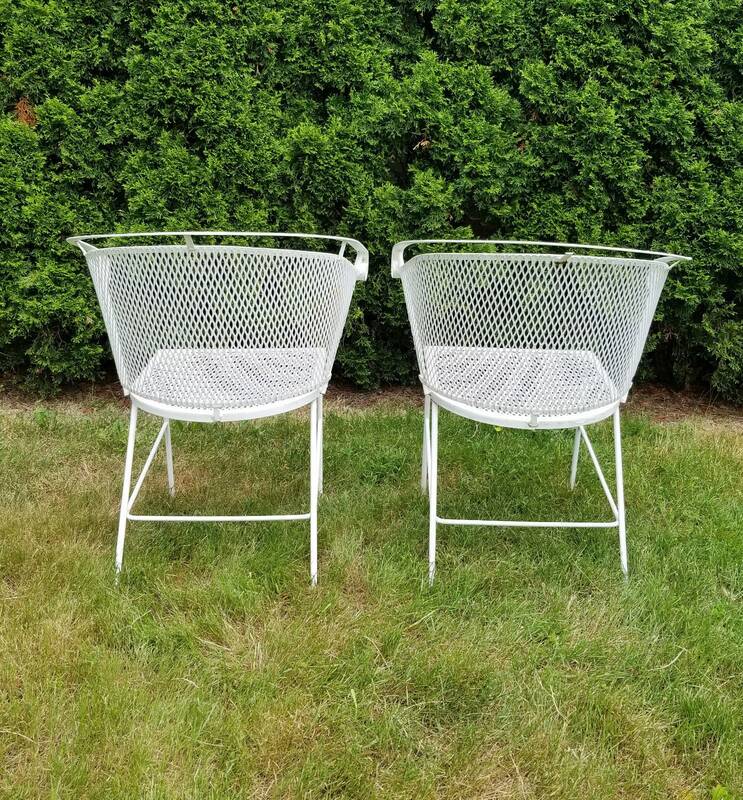 The pair of chairs are in good solid condition with some paint loss from age/use. 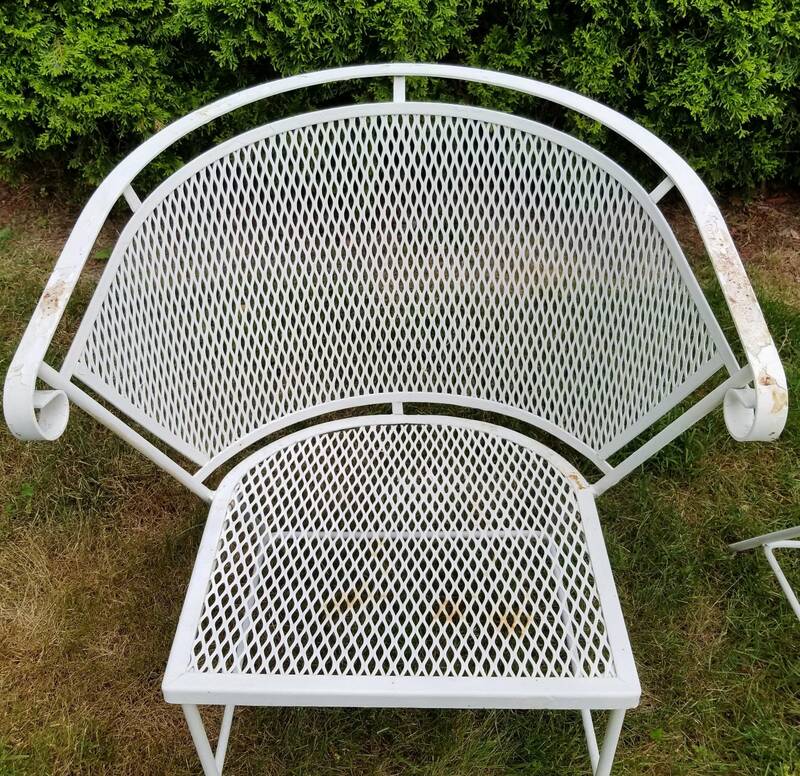 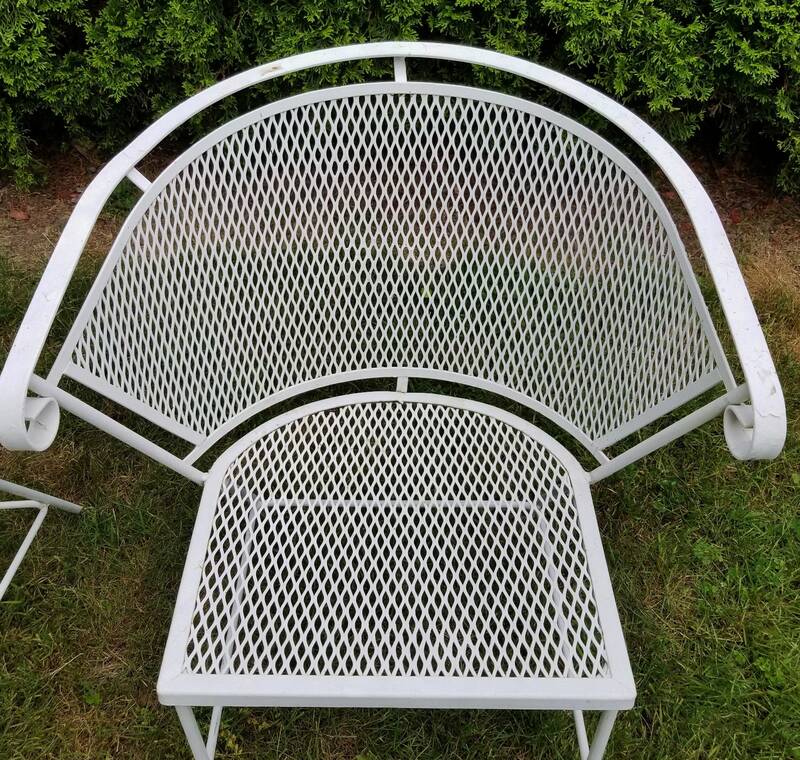 One chair has a tab from the back rest that is missing and one is separated but is still sturdy and comfortable to sit in.